BMW brought in the BMW i8 to India in February 2015. 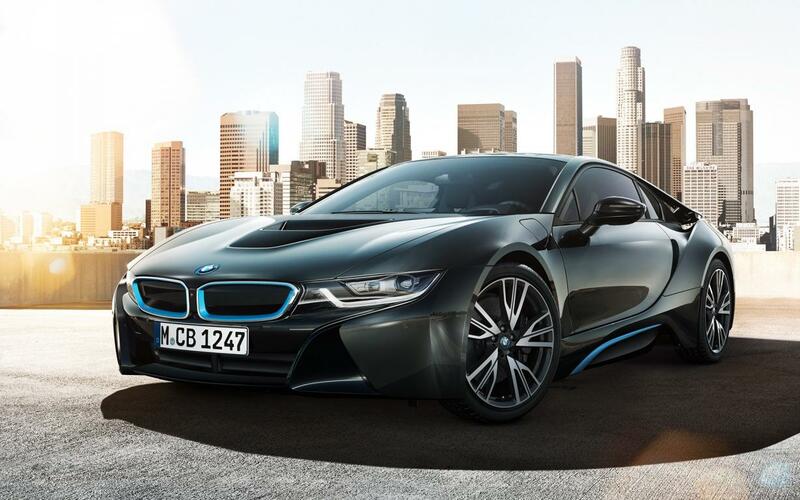 The 2015 BMW i8 is a world-class, high-performance hybrid sports car. The i8 combines both petrol and electric power for all-wheel-drive. The plug-in hybrid has battery that recharges by recovering energy produced by its gasoline engine. The electric motor powers the front wheels, while the petrol engine drives the rear. Also check about BMW X6 Price in India 2015/2016 Specifications, Reviews, Mileage at AutoPortal.com . The aluminium composite carbon fibre and polycarbonate glass body gives the car its sturdiness. The standard external features include 20-inch wheels, LED exterior lighting with U-shaped daytime running and brake lights, and automatic high beam headlights. The super car has a low-slung and a long-wheelbase. It portrays an aggressive stance. The taillight housings form part of an air channel to improve aerodynamics. The Technology highlights include a navigation system with real-time traffic info, Bluetooth phone connectivity, BMW’s iDrive interface, BMW Assist with remote smartphone app capability, BMW Online and Apps, and a Harman Kardon sound system with hard disk storage and USB and aux inputs. The other features include cross-drilled and ventilated disc brakes, adjustable suspension, auto engine start-stop, an around-view camera view system, keyless entry and ignition, power front seats with memory, leather upholstery, and a leather-wrapped steering wheel. The electric motor comes with a capacity of 7.1 kWh, while the petrol engine is 1.5-litres in capacity. The 2 speed synchro switching steptronic transmission gearbox is found at the front. The twinpower turbo charging unit with the 1.5-litre petrol engine is housed at the rear end. Both the engines together can deliver a power of 362 bhp with a torque of 570 Nm. The engine comes mated with the 6 speed automatic transmission which delivers torque to the rear wheels resulting to a drive that’s beyond expectations. When fully charged the lithium battery can deliver a mileage output of 37 kmpl whereas. Thepetrol and electric motor delivers a mileage of 47.45 kmpl. The new 2015 BMW i8 can accelerate to 100 kmph in 4.4 seconds and has a top speed of 250 kmph. The safety features include dynamic stability control along with Anti-Braking system, corner braking stability, 8 airbags as well as dynamic braking stability. The BMW India i8 also comes with features like acoustic protection for pedestrians, anti-theft alarms, and electric parking brake. The disc braking mechanism with damper control system comes with double wishbone suspension system and link system. Awarded as the World Green Car at the World Car Awards in 2015, the new 2015 BMW i8 comes in a price of Rs. 2.29 Crore. To know more about Honda Jazz Car Prices in India visit: Carsexpert.in and also check out TVS Victor Motor Bikes in India visit: Bikeportal.in .